A native of Brittany, Nikolaz Cadoret is a versatile musician: trained to play the Celtic harp, he is also a graduate in the classical harp. 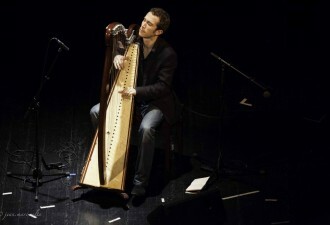 Professor at the Brest Conservatoire of Music, where he teaches traditional music, classical music and improvisation, he is also a professor and lecturer for the electric harp. Nikolaz Cadoret delivers a discourse deeply rooted in Celtic tradition, but also inspired by his encounters with other musical universes, from classical to improvisation.